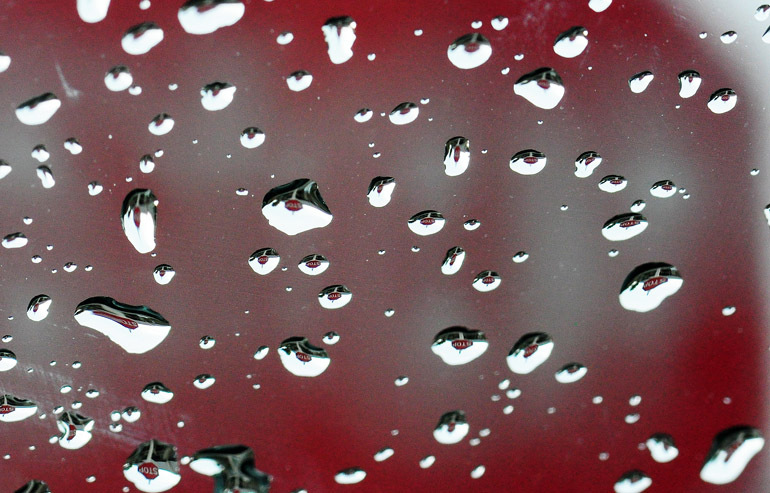 I snapped a few shots of the rain with my macro lens. 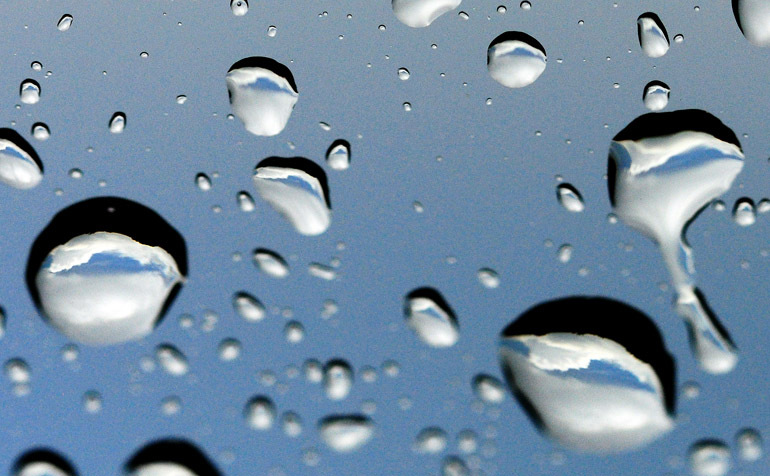 Above, cumulonimbus clouds are reflected through raindrops on a windshield. Trying to play catchup on my blog. We had a few May days here in Central Florida that were a precursor to the wet season. These photos were taken during a weak storm system that grazed the area on May 27, bringing only a few drops and a few lightning strikes. The rainfall wasn't even measurable. Definitely not enough to jumpstart the rainy season here. A stop sign seen through my windshield. 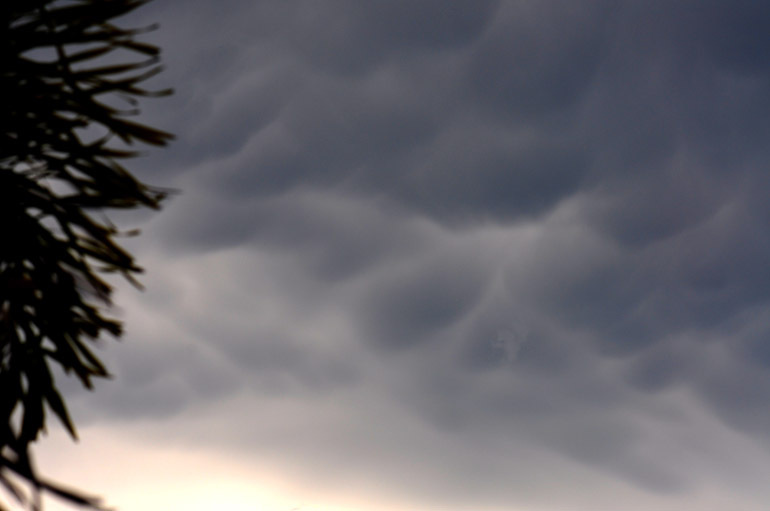 Mammatus clouds formed over the northern Melbourne area. 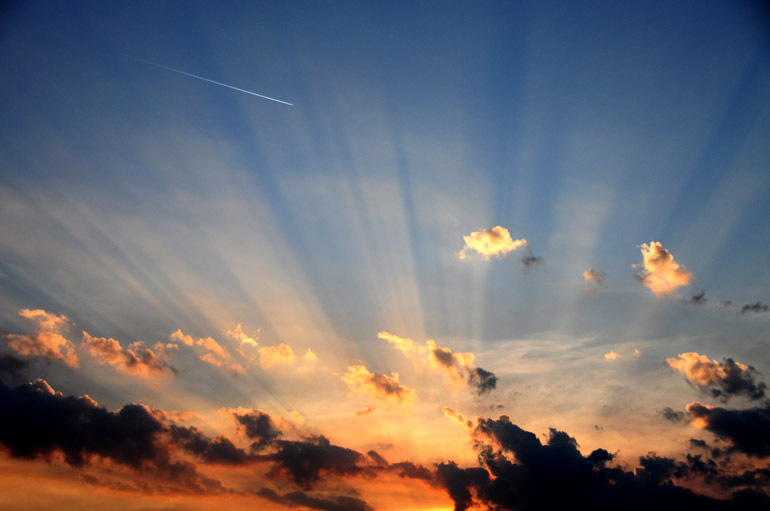 They typically indicate moisture air sinking into dry air. It had been very dry here: an "extreme" drought. 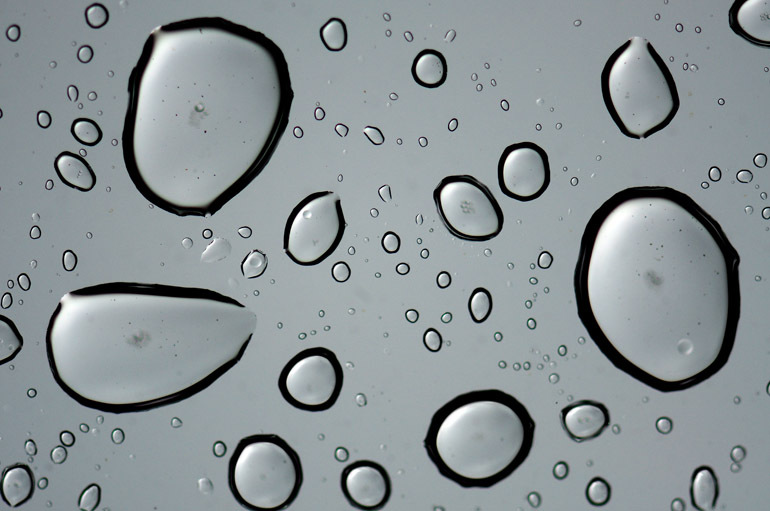 Raindrops on my sunroof looked more like specimens on a microscope slide. 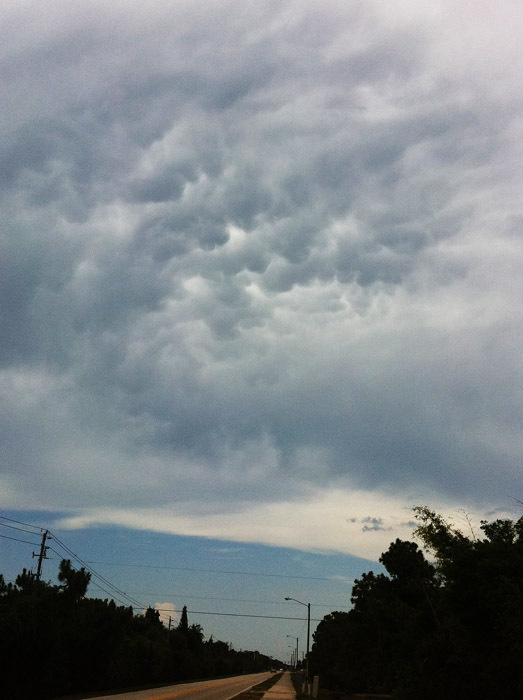 Some mammatus appeared earlier in the day, too. I snapped this shot with my iPhone while taking a run. Finally, we started getting clouds in the atmosphere. Must have moisture available for thunderstorms to form.